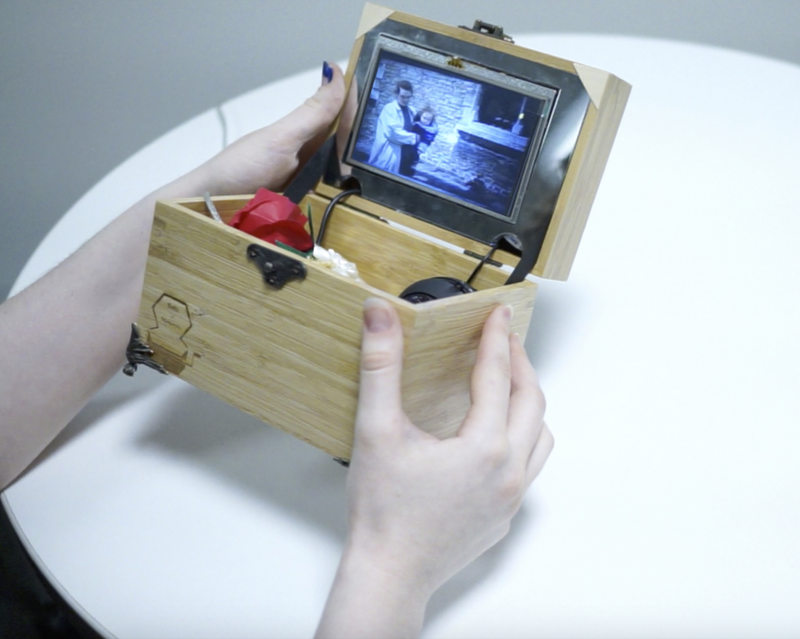 Memory Music Box is an interactive system designed to help elderly with advanced Alzheimer’s disease or dementia to stay connected with their past and with remote friends and family in a simple and intuitive way. 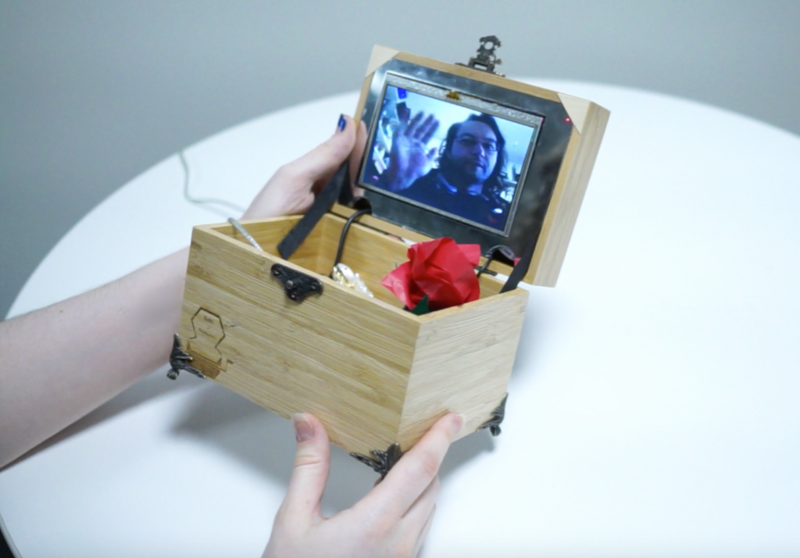 We choose the form-factor of an old fashion jewelry music box where we embedded an interactive connected system controlled by the natural gestures of opening and closing the box. Contrary to most existing devices targeting patients in early stages of Alzheimer and dementia, this device is designed for users in more advanced stages. The project transforms an intuitive and familiar everyday object into a portal for video call and personalized memory slideshow to create a sense of connectedness and reassurement.